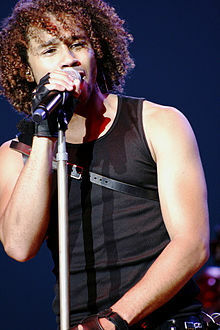 Corbin Bleu (Brooklyn, New York, * 21.02.1989 ), hé'ôhnéménêstse. É-axenôhöne. ↑ yochell says:. "actor Corbin Bleu in". Relatemag.com. http://www.relatemag.com/corbin-bleu/. Retrieved 2011-08-08. This page was last edited on 10 March 2013, at 23:09.